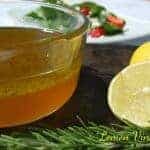 These cheap and healthy homemade salad dressings are staples in my kitchen – they’re so easy to make and taste so much better than the ones at the store! I’ll be honest. 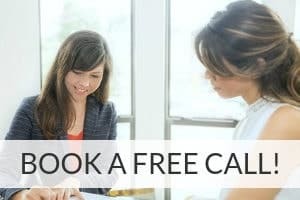 Until recently, I rarely took the time to make homemade dressings – it just seemed too cumbersome. I resigned myself to paying more for higher quality dressings at the store; but even the more expensive ones were often full of ingredients I couldn’t pronounce. I gathered my ingredients and started experimenting…and I’m never going back! Today I’m sharing three of my favorite homemade salad dressings with you! A light and refreshing citrus dressing - the perfect salad topping to go with Tex-Mex or seafood recipes. Whisk all ingredients except oil together. Gradually add oil, whisking constantly, to form an emulsion. 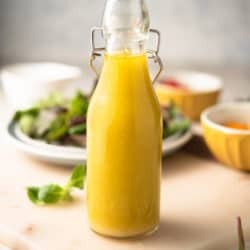 This Easy Greek Dressing can be whipped up in only 5 minutes and can transform the plainest of salads. Made with vinegar, olive oil, garlic and herbs it tastes incredible and will keep well for weeks! Whisk together all ingredients except oil. Make sure to whisk constantly whilst adding the olive oil in gradually and slowly so the dressing emusfilies and doesn't split. You can add in different dried herbs to suit your taste. You can also use honey instead of maple syrup. You'll notice that the garlic will settle at the bottom of the bottle, just make sure to shake it before serving. 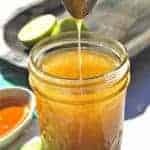 Double this recipe to make a double batch and you'll have ready-made salad dressing whenever you need it. A great way to use this dressing is with my 3 Ingredient Greek Chicken it's super easy and delicious! The dressing will store well in the fridge for weeks. Using a whisk or a blender, thoroughly mix all ingredients until texture is smooth. I like my honey mustard sweet and simple. 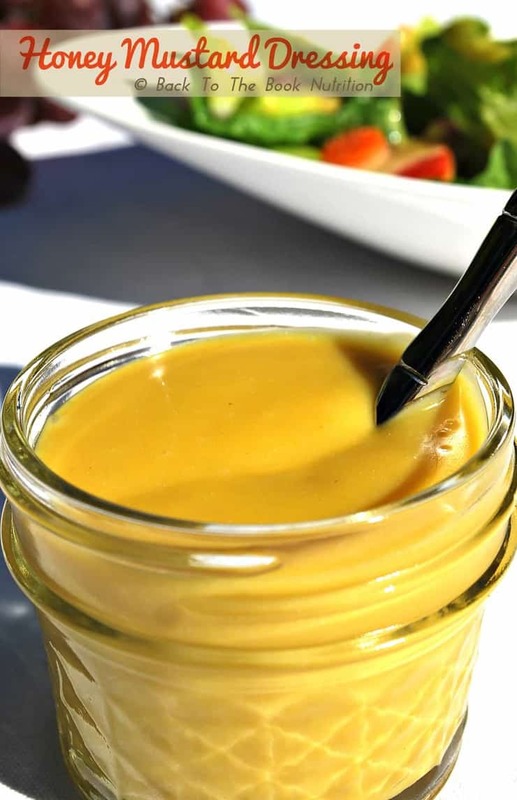 For those who want a little kick, try replacing the yellow mustard with Dijon or brown mustard, and adding freshly ground black pepper or cayenne. 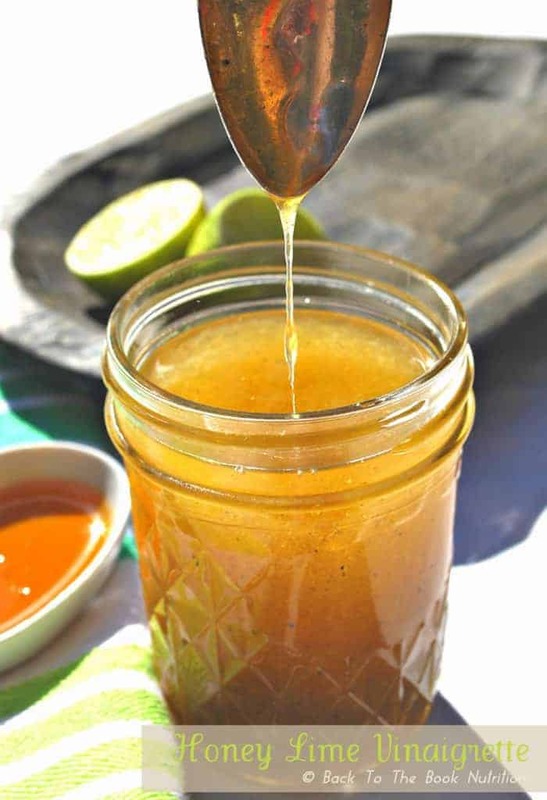 The sweetness of this recipe can easily be adjusted by altering the quantity of honey/syrup. For an Asian flair, use sesame oil in place of avocado/olive oil. 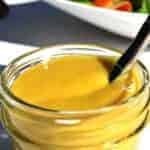 Do you make your own dressings? If so, what are your favorites? These recipes sound great! But I don’t go through dressing very quickly. How long do they keep in the refrigerator? 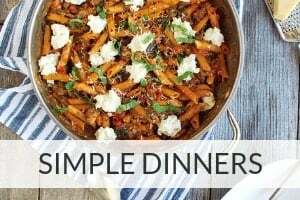 All 3 of these recipes will last for a really long time. The only exception would be if you were using homemade mayonnaise in the Honey Mustard Dressing recipe. Then, I’d only bank on it for up to a week.